What do you do? How would you describe your working life? I run my own business selling a product that I developed called BlindSides that blocks out the light that black out blinds, despite their name, still usually allow in down the sides. Because I work from home and for myself, I don’t really have defined times when I sit down to work, apart from when my children are at school/nursery. At least partly because of this I’d say my working life is pretty much constant, because even if I’m not at my desk and I have a spare minute to think, maybe when driving for example, then my mind will probably turn to something to do with BlindSides. Did you show any early signs as a child that indicated that you would end up where you are today? I’m not sure there were any early signs and if I’m completely honest, I had no desire to run my own business until a couple of years ago. I’ve previously worked for a couple of micro business and I’ve seen how all-consuming they can be and I didn’t think I wanted that. However, with two small children, but still wanting a challenge, running a business is actually perfect. The difference to my business and the ones I’ve worked for is that they were service businesses where clients wanted you to be available at all hours. While I’m constantly thinking about my business I supply a product rather than my time to customers so it’s a different kind of business relationship. Before the kids are even up I’ve probably decided what my priorities are for the day so once I’m back from the school run, I procrastinate for about five minutes. Then I’m at my desk checking emails and cracking on with my first task which at the moment is probably different every day. Where do you get your ideas/inspiration from and when do they arrive? Ideas and inspiration can come from anywhere, you just have to be open to them. I think the most important thing is to give your brain food for thought which it can be processing subconsciously. Most often I get ideas when I’m not actually “working”. When motivation wavers, how do you get back on track? I think when you’re feeling a little demotivated, if you can take a little time away, and then just get on with it. Pretty soon something usually happens to get you excited all over again. What is the best thing about your job/lifestyle? It has to be the flexibility I have to be there for my children without having to sacrifice a fulfilling working life. The beauty of my business is that as my children grow and their independence increases it has the potential to also expand. While they’re very young it’s small but the time I’m spending now is hopefully laying the foundation for a larger business that will require more of my time as the children (in theory) need less. If you could do something else for the day- what would you do? I would be a civil engineer, a career that I didn’t even know existed when I was considering what to study at university. I’m fascinated by huge structures and the challenge of constructing them. How do you overcome any challenges in your working life? Usually by talking about them with someone who I think can help or who has an informed opinion. 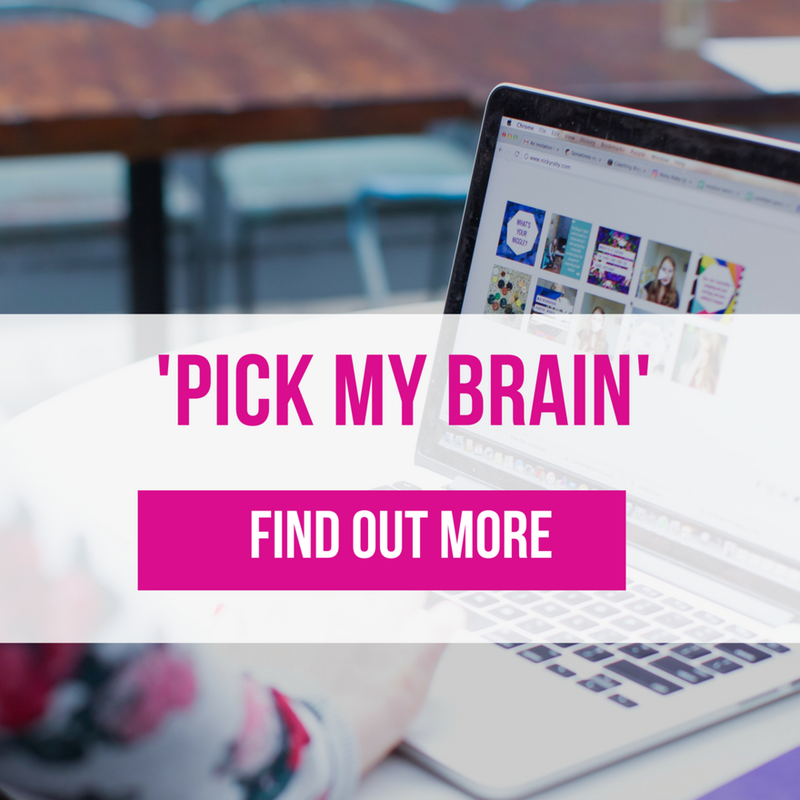 Because I work on my own I often have to wait to discuss challenges which can be a bit frustrating: for example with my husband in the evening or perhaps with a group of like-minded people such as a networking group I’m part of called Startup Mums. I’m also very lucky to have met someone who runs her own product business with a similar target market that is much more established than mine. She is happy for me to pepper her with questions, I suppose you’d call her a mentor. How do you celebrate your successes? Usually dancing round the kitchen with my kids. And if it’s really significant, like winning Jojo Maman Bebe’s Invent with Tom competition, by sharing a bottle of something bubbly with my biggest supporter, my husband. Do you have any tools/resources or rituals that you couldn’t live without? Mobile technology is my biggest enabler, particularly my iPhone. I can check my emails etc. quickly and easily whenever and wherever I am even when I’m with my children, particularly if I’m expecting to hear from someone, without it really intruding on our time together. It also means if I have a few minutes to spare here and there when I’m not at my desk I might be able to complete a quick task which I wouldn’t have time for if I had to dig out my laptop. Which books from your bookcase would you recommend? I bought “Build a Business from Your Kitchen Table” by the founders of Not on the High Street but I’ve yet to open it. I love reading but for relaxation and pleasure rather than work so I don’t have any recommendations to make for business books. What are your daily essentials to make you feel ready? A plan for what I need to achieve that day, a notebook and pen (old school, I know) and access to the internet. With those things I can work pretty much anywhere if necessary. Study what you’re interested in and take your time exploring all of the potential careers that you think might interest you. I was actually destined to be a medic – once I suggested at school that’s what I wanted to be I was pushed down that path and no one suggested I at least look at other options. It was only when I got to university that I pulled out of the course and changed to Geography which I had always enjoyed and which kept more career options open. Where would you like to be in 5 years time? I would like to have established BlindSides as a successful business with a well-known brand and an international customer base. I would also like to have extended our range to include complementary products. I’ve gained so much from spending time with people who have much more established businesses in my industry and in five years’ time I’d like to think I will be in a position to help people who are just starting out.